How To Do A Short Sale? How To Do a Short Sale. NaborsNorris Real Estate. A short sale in real estate is not always a pleasant transaction. As a real estate broker, we are not licensed as a lawyer nor a CPA and cannot advise on those consequences. Except for certain conditions pursuant to the Mortgage Forgiveness Debt Relief Act of 2007 , be aware the I.R.S. could consider debt forgiveness as income, and there is no guarantee that a lender who accepts a short sale will not legally pursue a borrower for the difference between the amount owed and the amount paid. In some states, this amount is known as a deficiency. A lawyer can determine whether your loan qualifies for a deficiency judgment or claim. 	Solds from the past six months. When you reach an agreement to sell with a prospective purchaser, the lender will want a copy of the offer, along with a copy of your listing agreement. Be prepared for the lender to renegotiate commissions and to refuse to pay for certain items such as home protection plans or termite inspections. Now, if everything goes well, the lender will approve your short sale. As part of the negotiation, you might ask that the lender not report adverse credit to the credit reporting agencies, but realize that the lender is under no obligation to accommodate this request. Credit report status is not always negotiable. We are not licensed to give legal advice and provide this information for general information purposes only. If you desire legal advice or more information, please contact a real estate lawyer. 1. Get your house in order. Make a critical assessment of any needed maintenance or repairs. Hire a home inspector if you’re not comfortable making those assessments on your own. An inspection will probably cost you a few hundred dollars, but it’s money well spent to keep from being unpleasantly surprised when a buyer has his own inspection done. No one wants to find out that their roof is shot, but at this stage, you can decide if it’s worth it to spend the money and fix it or to sell the house as-is, disclose that it needs a new roof and set your price accordingly. Ask your broker for a referral to a qualified inspector. 	The exterior paint — is it fading or peeling? 	The yard — are there bare spots in the grass or overgrown shrubs? Is there trash or broken toys? Are there diseased or damaged trees that need to be removed? Are there beds that need to be weeded? 	The driveway — is it cracked or have holes in it? 	The garage door — is it damaged? 	The windows — do they need to be cleaned? Are they broken? Are the screens missing, torn or broken? 	The gutters and downspouts — are they clogged or damaged? 	The front door — is it dirty or damaged? 	The details — does the mailbox door fall open? Are any house numbers missing? Are there burnt-out bulbs on the porch lights? Is there fencing that needs to be repaired? You want to do this because you have one chance to make a good first impression. What potential buyers see on that first drive-by can do one of three things (and two of them are not good): make them fall in love, make them keep driving, or give them a checklist of items they can use to try to knock down your price. You’ll do the same thing inside the house, studying everything from how it smells to how old the carpet is. 3. Listing agent or FSBO? Decide if you’re going to sell the house yourself or hire a real estate agent. If you’re going on your own, you’ll need to line up an attorney or at the very least a title company to handle the paperwork. You’ll also need to handle marketing the property, showing it, pre-qualifying buyers, negotiating offers, and working with various real estate professionals, such as appraisers, title agents and mortgage companies. If you decide it’s too much for you to handle, meet with at least three prospective agents. You want an agent who is active in your area. Ask them to bring printouts on their last 10 listings. You want to see where the houses were, how long they were on the market, and the listing price vs. the sales price. Also ask about their marketing plan for your house. Will they do a brochure? A Web site? Virtual tours? Broker caravans? They should know what works best in your market. 4. Set your price. Many sellers set a price based on the amount of money they need to get out of the deal or how much they “think” the guy down the street sold his for. That’s the kiss of death. It will sit on the market and you become a target of low-ball buyers and scammers. Price it right to sell it fast. If you’re using an agent, he will help you set your price. If you’re selling on your own, you might hire an appraiser, who will pull recent sales, called “comps,” to see what buyers have paid for houses like yours in the last 30 days. The more detailed research you can do, the better you can price the house and the sooner it will sell at a fair market price. You’ll know there’s a problem with the pricing if you show the house to seven people and no one makes an offer, he says. 4. De-clutter. This is the top recommendation of real estate agents for making your house shine to potential buyers as they walk through the front door. If need be, rent a storage unit and move out any furniture that isn’t necessary. Many people are moving because they need more space and space is what you’re selling. The more space you have, the more inviting your house will be. While you’re at it, have a garage sale. You’ll not only get rid of that accumulated clutter and pocket some cash, you might also find a buyer for your house. 5. Freshen up. With the clutter gone, you’ll probably see how much the place could use a fresh coat of paint. Stick with light, neutral colors — but not white — that go with everything. Many buyers just don’t have a ‘vision’ and if they see a green wall, they only remember the green wall. 6. List and show the property. With everything spiffed up, it’s time to take the plunge and tell the world about your house. Once the house is on the market, you need to be prepared to show it at any time, keeping it clean, uncluttered, and smelling fresh. When you have a showing scheduled, turn on the lights and open the drapes. Put out some fresh-baked cookies — and a sign-in sheet with a place to offer comments and feedback. Invite them to write their comments on curb appeal, the condition of the house and whether they think it’s priced appropriately. And then leave. Buyers feel much more comfortable looking at a home when the seller isn’t standing over their shoulder. 7. Consider the offers. A listing agent is required to present all offers to you from qualified buyers, so even if he thinks it’s a bad deal, he has to show it to you. You’ll have a short amount of time, often 24 hours, to respond to an offer. You can decide to accept the offer, reject it, or make a counter offer. A counter offer is when you make an offer of your own. Any offer is a starting point for discussion, and everything in it is negotiable. Before you accept an offer — and take your property off the market — make sure the buyer has been pre-approved with a lender, and they have shown proof of down payment and the initial deposit. Once both you and the buyer are happy with the terms, it’s time to sign on the dotted line. Congratulations! You just sold your house! When taken one step at a time, the buying process is actually quite simple. However, you can waste much of your valuable time (and often times that of others) if you do not take the steps necessary in the correct order. Let’s review the basics. Step 1 – Obtain a loan pre-approval from a legitimate mortgage professional BEFORE you do anything else. In so doing, you learn two valuable pieces of information. First, you learn your credit score which is by far the most critical piece of information used to evaluate your creditworthiness. In the vast majority of cases, you can IMPROVE YOUR SCORE significantly within a short period of time with little effort. Allow our mortgage partner, Anchor Funding, to run their Credit Analyzer Tool for you and provide you with specific “to dos” that will lead to a better interest rate on your loan!! Second, you understand how much house you are able to qualify for so you don’t waste your time looking at property you can’t afford. We can’t stress these two prerequisites enough! Step 2 – Identify WHERE you want to live based on what is most important to you. Whether you want to be close to work, in a certain school district, in one of a few specific subdivisions, within walking distance to shopping or nightlife, in close proximity to friends or family, WHATEVER is important to YOU!! Many resources exist on the internet that allows you to research school and neighborhood information and such. Chances are good that you can find something that meets your needs within that geography. Remember the most important rule of real estate….location, location, location! Step 3 – After steps 1 and 2 are complete, then and only then can you move to Step 3. Now it is time to define what you MUST HAVE in your new house. Examples are the type of architecture, the construction materials used (brick, stucco, concrete siding), style (ranch, multi story, basement), minimum number of bedrooms and baths and their locations, date of construction, size of property, type of yard, etc. Your real estate consultant can assist you in this process. You must complete this before moving to Step 4. Step 4 – Define your WANTS which are much different than your needs!! Remember, very seldom are you successful in getting everything you need, much less want. Step 5 – Set up an automatic search within the multiple listing services that automatically alerts you to available properties that meet your needs in the geography you have selected. Through your personal client gateway you can keep your consultant apprised of what you like and dislike and together you can begin to filter the potential houses to a manageable list. Step 6 – Once you have found a property that meets your criteria, look at it on Google maps to determine its approximate location relative to major streets or within the neighborhood. You can even take a satellite view to determine if it is on a corner or a cul-de-sac! If all meets your criteria, drive by the house, tour the neighborhood, look at the swim/tennis club if appropriate, notice the adjacent houses, and assess the overall condition of the neighboring houses. Are there any that are FSBO…write down their phone number. Can you see yourself living there? If so, proceed to step 7. Step 7 – Call your Nabors Norris consultant to schedule a showing. of that house and any others that meet your needs within the given geography. Do not tour more than 4 or 5 houses per day (the fewer the better) as they will all begin to look the same. Take notes on what you like and dislike about each house. Take a picture of the front to help you remember. Note those things that you think you would need to change immediately which will cost you money!! Step 8 – Once you have either found your dream house, exhausted the possibilities, or simply run out of time, whichever comes first, decide on which one you want to present an offer. This is where your Nabors Norris consultant will begin to become invaluable. Allow them to determine what the house is worth and develop a strategy for pursuing its’ purchase. As there may be many factors at play depending on how long the house has been for sale, the seller’s motivation, the time of year, the prevailing interest rates, etc. that strategy could be quite in depth. Seldom does it benefit anyone to attempt to “steal” a seller’s house so a reasonable approach to offer and counter offer is warranted. Rely on your consultant to guide you through this process as they do it every day and know how the process works. They will know what “extras” to request that the seller do and pay for that are oftentimes customary in transactions in our area. They will be able to secure you the best price AND terms possible for your particular transaction. Step 9 – At this juncture is where you may most need a Nabors Norris consultant as there are pitfalls that can kill any deal in the contract to closing phase. You need to be sure you do not violate any of the timing requirements or terms within the contract lest you put your earnest money in jeopardy. The sales agreement is a legal document and should be treated as such. You must pay particular attention to the dates within the contract which, if missed, can lead to a breach of the contract. When you engage Nabors Norris, your consultant will have a contract to closing plan specific to your transaction with important date milestones included that will not allow you to miss critical deadlines that could invalidate the contract if missed. Also, the Inspection Amendment will need to be addressed in order to negotiate a workable solution between both you and the seller. This is often a very traumatic time in the process and must be given appropriate consideration. In our opinion, the Contract to Closing phase is when a competent real estate consultant is invaluable to as you prepare to purchase a very valuable asset. Step 10 – You have now arrived to closing day, the day that should be celebratory. However, without the proper preparation, it can be stressful. You will be required to confirm the terms and conditions of your loan, execute many documents regarding your loan, make decisions as to whether owner’s title insurance is something you want to secure, learn about the foreclosure process in your state, decide on how you want to take title to your property, deal with any discrepancies in the HUD settlement statement, sometimes wonder what in the world you are doing, and finally deliver some of your hard earned money to the closing attorney so he can affect the closing of your loan. As a side bar, the closing attorney represents the bank, not you or the seller and therefore cannot dispense legal advice. It is our intent at Nabors Norris to be your support throughout this process, particularly in those areas where and times when you need us most. Coupled with our strategic partners, Anchor Funding and Harlan and Associates Attorney’s at Law, and sufficient expectation management, we feel confident that your experience will be pleasant and stress free. 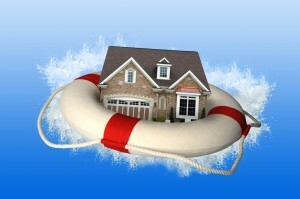 Question: Can a Bank File a Deficiency Judgment After a Foreclosure or Short Sale? 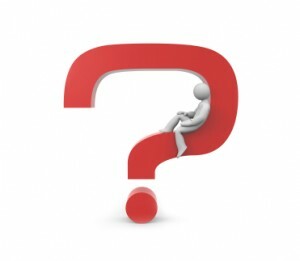 Answer: Deficiency judgments sometimes pop up after a foreclosure or short sale. That’s because many sellers don’t obtain legal or tax advice in advance, so the deficiency judgment comes as a surprise. Moreover, deficiency judgments are a complicated process to understand. Contrary to what people think, deficiency judgments stem from the fact a borrower defaulted on a promissory note, not the mortgage. A promissory note is a promise to pay. It can also provide for personal liability, depending on your state laws. Personal liability means the lender can come after your assets if you do not make your payments. A promissory note is secured by either a trust deed or a mortgage, depending on the financing instrument each state uses. Typically, the mortgage or trust deed is recorded in the public records where the property is located, which gives the public constructive notice that the home has a lien against it. If the promissory note is not paid as agreed, the beneficiary has the right to foreclose upon the property, because the property is the security for the promissory note. If the borrower does not bring the payments current or pay off the existing loan(s) during the foreclosure period, the home will go to auction. If the home sells for more than the amount that is owed, there is no deficiency; however, that rarely happens. Generally it sells for less. Banks get the home in foreclosure when nobody bids enough to pay off the bank. The bank also has a right to sell the home for less to the highest bidder at the auction, but generally banks prefer to sell to a private party after the foreclosure, hoping to get more money on the open market. While the home is pending foreclosure proceedings, sometimes banks will agree to cut their losses. They do a short sale by accepting less than the amount that is owed. The home seller hires a real estate agent to find a buyer for the short sale. The buyer makes an offer and, if the bank accepts it, the home is sold at a loss to the bank. A deficiency is the difference between the fair market value of the property and the amount received, providing the amount received is less than the amount owed. Whether the bank can pursue a deficiency judgment after a foreclosure or short sale depends in part on whether the promissory note makes the seller personally liable for the debt. Some states allow for personal liability. Some hard-money lenders sell the promissory note to an investor after a foreclosure for pennies on the dollar. Then, the investor will attempt to collect the debt. Even though a lender may have accepted, say, $1,000 for a $100,000 second mortgage through a short sale, the security for that hard-money second is released but the promissory note may not be. A short sale seller might believe the ordeal is over, until one day he receives a phone call, asking for repayment. Realize that the lender most likely will negotiate for a discounted payoff. The lender may ask for a new promissory note to replace the old promissory note. In that event, make sure the lender sends a “paid in full” promissory note. If the lender has already sold the note, the discount may be greater. Not all hard-money promissory notes must be paid in cash. Some lenders will accept payments. If the lender directs payments to another entity, realize that the note may have been sold at less than its face value, and that new lender may accept an even lower amount as payment in full. Short sales is a hot buzz phrase. Some sellers who decide that their home won’t sell at the price they had imagined often start to wonder if they should do a short sale. A short sale doesn’t always solve problems, but it most assuredly can create problems. Short sales are not the “saving grace” some home sellers would like to believe. A short sale happens when the lender is shorted on a mortgage, meaning the lender accepts less than the total amount that is due. If your mortgage is $100,000, but your home is worth, say, $90,000, you are $10,000 short, not including costs to close the sale such as real estate commissions, recording fees or title and escrow charges. Sometimes, to avoid going through the costs of foreclosure, a lender will sanction a short sale by letting a buyer purchase the home for less than the mortgage balance while the home is in pre-foreclosure stage. A pre-foreclosure stage is one of the three stages of foreclosures. 	Seller signs a listing agreement with a real estate agent subject to selling as a short sale with third-party approval. 	The agent finds a buyer who makes an offer for less than the amount of the mortgage. 	Seller accepts the buyer’s purchase offer. 	Seller’s lender accepts the buyer’s purchase offer. 	Transaction closes when the buyer delivers the funds, the lender releases the lien and the seller delivers the deed. In fairy-tale land, everybody lives happily ever after. Except the seller. There are consequences. Before you eagerly climb aboard the short sale bandwagon, consider the following to determine whether you may qualify for a short sale. If you cannot answer yes to all four requirements, you may not qualify for a short sale. 	The Home’s Market Value Has Dropped. Hard comparable sales must substantiate that the home is worth less than the unpaid balance due the lender. This unpaid balance may include a prepayment penalty. 	The Mortgage is in or Near Default Status. It used to be that lenders would not consider a short sale if the payments were current, but that is no longer the case. Realizing that other factors contribute to a potential default, many lenders are eager to head off future problems at the pass. 	The Seller Has Fallen on Hard Times. The seller must submit a letter of hardship that explains why the seller can not pay the difference due upon sale, including why the seller has or will stop making the monthly payments. 1. Bad purchase decisions. Blowing your paycheck on a home theater system with surround sound does not qualify as a hardship. 2. Unhappy with the neighbors. Even if every home on your block has turned into pot growing houses, that will not qualify as a hardship. 3. Buying another home. The lender will not care if you have decided the home is no longer suitable for you or your family. 4. Pregnancy. Increasing the size of your family or starting a family is not considered a hardship. 5. Moving into an apartment. If you decide to move out of your home, that is a lifestyle decision and not a very good reason to abandon your home. The lender will probably want to see a copy of the seller’s tax returns and / or a financial statement. If the lender discovers assets, the lender may not grant the short sale because the lender will feel that the seller has the ability to pay the shorted difference. Sellers with assets may still be granted a short sale but could be required to pay back the shortfall. For example, if the seller has cash in a savings account, owns other real estate, stocks, bonds or even IRA accounts, the lender will most likely determine that the seller has assets. However, the lender might discount the amount the seller is required to pay back. Many entities profit from short sales, but there is no seller short sale profit. A short sale is dependent on a buyer making an offer to purchase. If you do not receive an offer, you will not qualify for a short sale. So even if you meet all the other criteria, it is possible that no one will buy the short sale. It is also dependent on the lender accepting the buyer’s offer. If the lender rejects the offer, a short sale will not take place. If the lender agrees to the short sale, the lender may possess the right to issue you a 1099 for the shorted difference, due to a provision in the IRS code about debt forgiveness. Many situations are exempt from debt forgiveness, according to the Mortgage Forgiveness Debt Relief Act of 2007 . You should speak to a real estate lawyer and a tax accountant to determine the amount of short sale tax consequences, and whether you can afford to pay those taxes, if any. While a short sale will not show up on your credit report, the loan status will. For those in default, it’s a pre-foreclosure that has been redeemed, which is often reported as Paid in Full for Less Than Agreed. Short sales affect credit ratings. While the damage to your credit report may not seem as significantly bad as a foreclosure to you, creditors may not make the distinction. What Are The Foreclosure Basics? No matter how you look at it, the business of buying and selling properties at or near foreclosure is not a happy one. 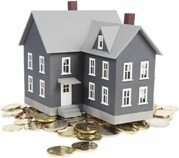 However, it can be a mutually beneficial transaction for a willing investor and a distressed home owner. Foreclosure is the flip side of the American dream of home ownership . It’s a home owner’s worst nightmare, and can result in a lasting and devastating blow to personal finances. Foreclosure can wipe out the equity in a home. It can destroy personal credit for years and could mean uprooting a family from their neighborhood, friends, family and schools. However, for a shrewd, and hopefully benevolent investor, purchasing foreclosed properties can be a terrific real estate deal. The hope is that both parties to the transaction win by profiting from a timely transfer of title — which produces a good investment for the investor and divestment for the home owner — and it might spare the home owner’s credit rating before things get any worse. Profiting from foreclosures isn’t the no-brainer many assume it to be — for each success story there are likely five horror stories. Every real estate transaction involves risk. While investors with the very best of intentions can help to reduce their risk, they cannot completely eliminate it. There are three ways to acquire distressed property, based on where the property lies in the foreclosure process. The three stages are as follows: pre-foreclosure, foreclosure and post-foreclosure. In the pre-foreclosure stage, investors will likely be able to do the most good for the distressed homeowner and for themselves. Pre-foreclosure is where further damage to the home owner’s credit rating can be forestalled and the home may be transferred at a mutually-agreed-upon price before it is necessary to get the lender involved. The best potential leads to locate a property at this stage may come from attorneys, accountants, real estate agents, or through business associates and friends. In the next phase, when a property is at the foreclosure stage, the best way to identify a potential property is through the County Clerk’s office. Find out where the notices of default are filed and determine how to sort through the general index to discover pending foreclosure sales. You may also be able to request that your address or e-mail address be placed on an advance notice list or a list of pending defaults. Title insurance companies may also be of assistance in this area by providing recorded information in exchange for the expectation of future business. The foreclosure process itself will vary from one state to the next, depending on whether it is a title or lien state, which determines whether a judicial or non-judicial form of foreclosure is involved. Judicial foreclosures pertain to mortgages, rather than deeds of trusts, and take significantly longer to complete. Non-judicial foreclosures pertain to deeds of trust where a third party, called a trustee, handles the entire process in a matter of two to four months after a borrower has defaulted and stopped making payments. 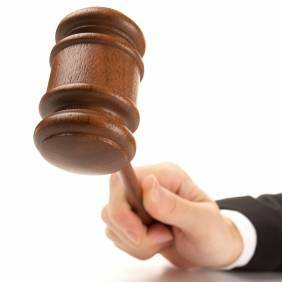 Once the property passes through either the judicial or non-judicial phase, it is then ready to be sold at auction to the highest bidder. And last, at the post-foreclosure stage, the lender has already taken control of the property. The home is then in the possession of the lender’s REO (Real Estate Owned) department, or in the hands of a new owner or investor who purchased the property at auction. Refer to the foreclosure notice to determine the name of the lender as well as the balance owed on the mortgage. Lenders are typically extremely willing sellers, because an REO on the books is an obvious sign of having made a poor lending decision. Both the overhead and losses involved with an REO — reflected in both the added reserves a lender must maintain as well as any potential property management fees incurred — means the bank is likely a willing negotiator. If the property ends up in the hands of a private investor, rather than with the lender, you may still be able to make an offer either on your own or with the help of a real estate agent. However, the price at this point may not be rock bottom. A key investment decision to make is where to enter into the foreclosure process. It is critical that you identify one of the three aforementioned stages and become an expert in that particular process, which will help you to achieve the most success at becoming a long-term investor of distressed properties. 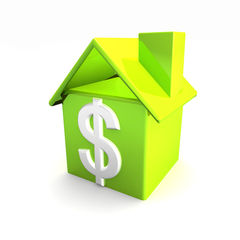 Learn how to lower your property taxes from NorrisNabors Real Estate. 1. 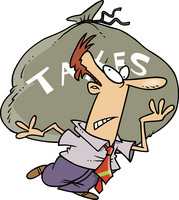 You must own the property as your legal resident on January 1st of the year you are filing. 5. You or your spouse cannot be claiming homestead in another city, county or state. b)	If applying by mail we suggest you send the application via certified mail. c)	If in the future you change the way title to the property is held U you must re-file homestead. 1. A REALTOR can sell your house for more money. According to the 2010 National Association of REALTORS Profile of Home Buyers and Sellers, the typical FSBO home sold for $113,000, compared to $129,900 for a salesperson-assisted home. This means that had the FSBO paid a 6-percent commission, they would have realized $122,100 or an increase of 8%. 2. A REALTOR understands how to complete the many contracts, forms and disclosure statements required in a real estate transaction. These are but a few of the required forms needed to complete a legally binding transaction—property condition disclosure statement, termite clearance letter, purchase contract, counter offer contract, earnest money, special stipulations, legal descriptions, property inspection and numerous other contingency clauses. According to the 2010 National Association of REALTORS Profile of Home Buyers and Sellers, difficulty with paperwork was the second biggest problem FSBOs had in selling their own homes. 3. A REALTOR has the market knowledge to price the home competitively. You may know what one or two homes near you have sold for, but you don’t have the access to the wide number of comparables or the market knowledge to adjust pricing if necessary. Also, many sellers are paying closing costs for a buyer which decreases the ACTUAL sales price. According to the 2010 National Association of REALTORS Profile of Home Buyers and Sellers, setting the right price was the biggest problem FSBOs had in selling their own homes which is understandable. 4. A REALTOR can be objective, handle criticism of the house, and focus on the business at hand. All sellers have emotional attachments to their homes and will emphasize the features they consider most desirable during a showing. However, as a trained professional, a REALTOR is more attuned to the buyers’ needs and able to highlight the home’s features that have the most appeal to each buyer. 5. A REALTOR can assess a potential buyers’ ability to afford the property. A professional REALTOR likely won’t even entertain offers from a buyer without a prequalification letter from a bonafide lender. A REALTOR has experience in helping buyers locate a lender and select between the numerous mortgages available. 6. A REALTOR can better negotiate and overcome objections due to their training. Balancing offers and counteroffers, as well as handling many of the contingencies that usually accompany real estate transactions, can be terribly frustrating for sellers. Having a non biased third party to guide you through this process is extremely valuable and keeps the transaction viable. 7. A REALTOR can get the transaction closed. You may think that once the purchase agreement is signed, your work is over. Most transactions fall apart either as a result of an unsuccessful negotiation of the inspection amendment or the buyer’s not being able to obtain the financing, both of which likely wouldn’t happen with a REALTOR. Also, if the buyer has a REALTOR you, as an uninformed seller, are at an extreme disadvantage.